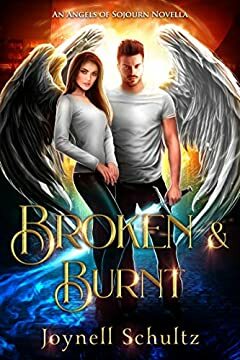 Fallen Angel, Bree, is far from perfect. Most recently, she stole from work and revealed her wings to her dying sister. On top of this, when a Highest Order Angel comes to remove her wings for her crimes, she accidentally stabs him during her attempted escape. Any hope she had of forgiveness is far out of her reach. Highest Order Angel, Jaxon, has a perfect record, and heâ€™s proud of it. He loves his job upholding justice, but when a fallen angel with beautiful eyes distracts him, causing his first slip-up in over fifty years, he wonâ€™t go home until he finishes what he started. Whatâ€™s even worse, the fallen angel he was sent to punish is also the compassionate one who risks everything to save his life. Grab your copy of this romantic urban fantasy today!